Meet with your Scoutmaster to get approval to start the merit badge of your choice. The Scoutmaster will work with you to assign a Merit Badge Councilor and will give you a "Blue Card"
Contact your Merit Badge Councilor and start working! You will most likely need to borrow or buy the Merit Badge Book for the merit badge you are working on. Get your Merit Badge at the next Court of Honor! Get to know the Signs, Signals and Codes merit badgeBelieve it or not, there were ways to communicate before Facebook and text messages. The brand-new Signs, Signals and Codes merit badge covers most of them. 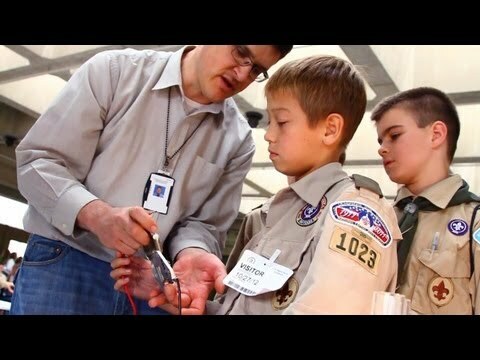 Welding Merit Badge Requirements ReleasedThe BSA’s newest merit badge is almost here. Earn the Energy Merit Badge; Save Energy in the ProcessThe U.S. Department of Energy’s Energy Information Administration recently helped more than 100 Scouts from the National Capital Area Council earn their Energy merit badges. Earn the Exploration Merit BadgeExploration, the BSA’s newest merit badge, is designed to celebrate your spirit of adventure.